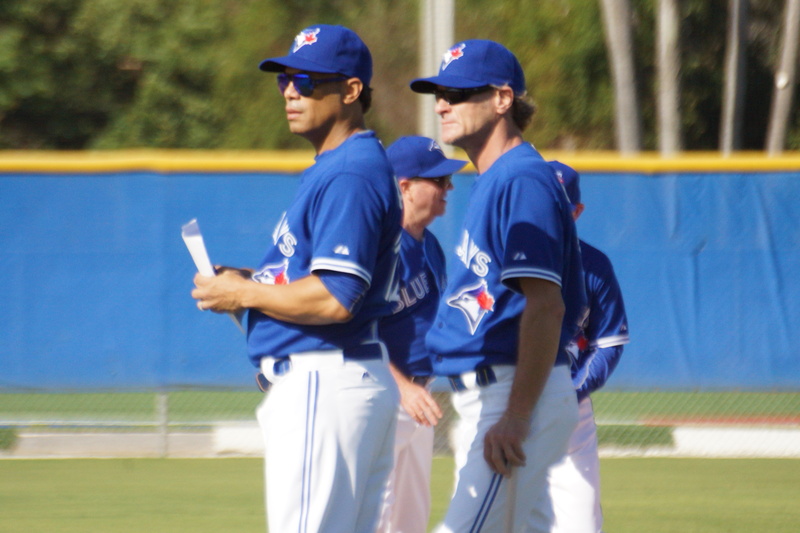 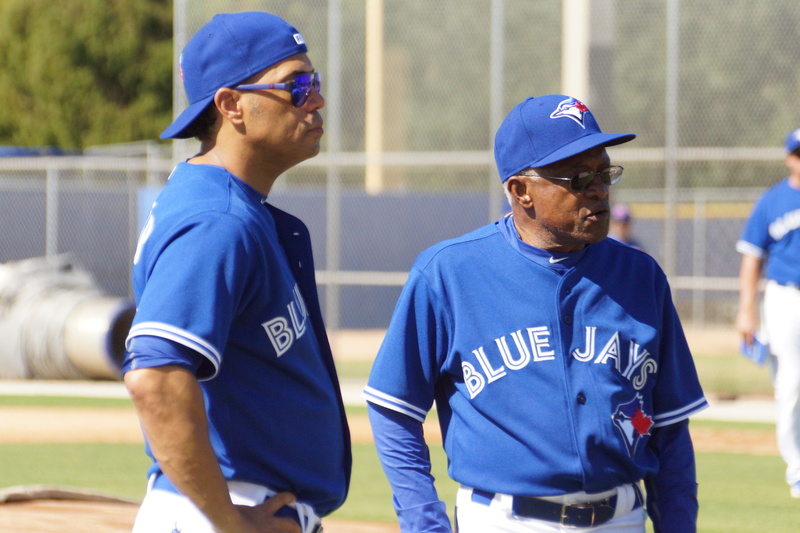 Former Blue Jays manager and hitting coach Cito Gaston listens as former infielder Pat Tabler explains the finer points on hitting to a group of fantasy campers. 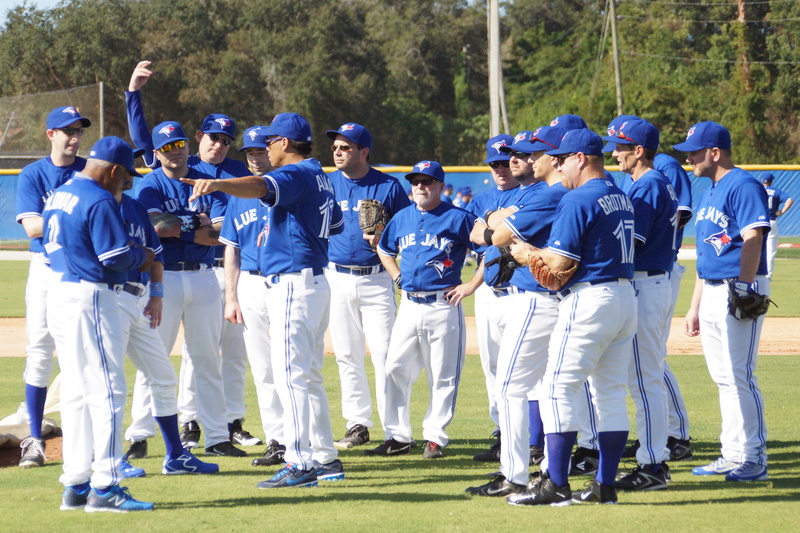 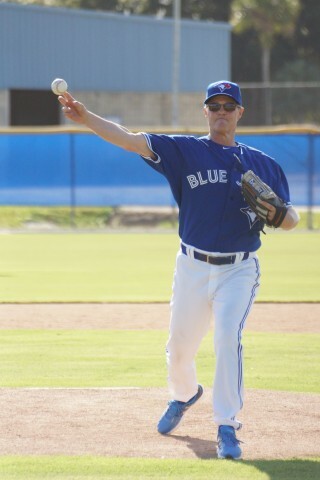 Between 70-80 die hard Blue Jays fans are in Dunedin, Fl. 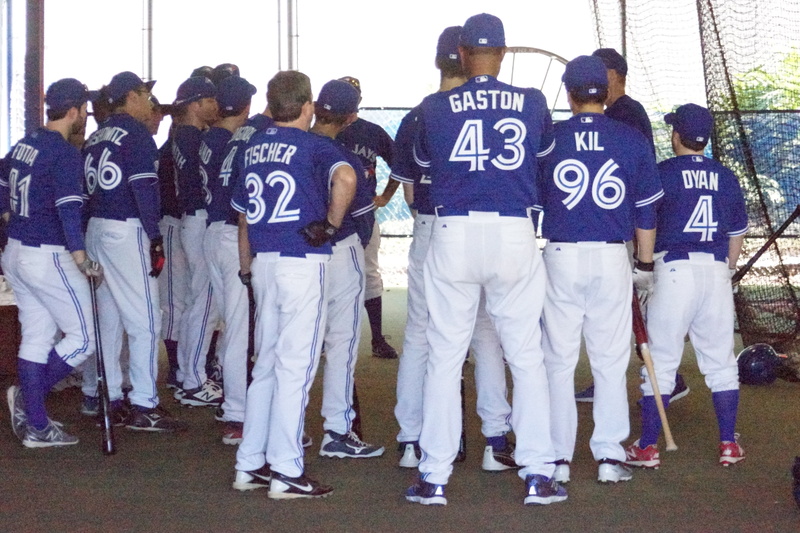 at the team’s Mattick Complex for the first Fantasy Camp since 1998 that runs through Thursday.